You’ve memorized your idioms and number properties, practiced negating assumption after assumption and you’re all set with sets. When it comes down to taking a timed exam, however, your preparation doesn’t seem to pay off. Sound familiar? If you have a hard time getting your head into the exam and spend too much time on just a few questions, your score will suffer greatly. Part of conquering the beast that is the GMAT is spending your time wisely, no matter what the exam throws your way. 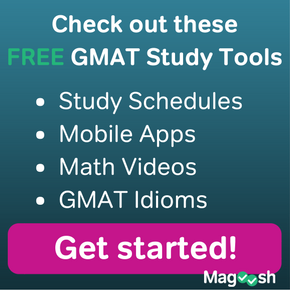 It may seem like the topics that the GMAT tests are straightforward—geometry and algebra, some grammar rules and reasoning skills. But every test taker must keep in mind that questions are designed both to test what you’ve learned and to appear time consuming. The Quantitative Reasoning section is called quantitative reasoning and NOT “math” for a reason: you need to use your reasoning skills to figure out how to quickly solve problems. The writers of the exam KNOW you don’t have a calculator, so your job is to figure out how to “outsmart” a question that seemingly involves a time-consuming calculation. The verbal section is full of these time traps as well; extra details that are worded in unnecessarily complex manners are thrown into Reading Comprehension passages on purpose. Your job is to pick out what’s important when you read through a passage in 3-4 minutes, understanding that you can come back to the passage when a specific detail is questioned. Keep the tips in this article in mind as you prepare for your exam. On test day, you must remember to implement overall test-taking strategies in addition to those you use on each particular question. 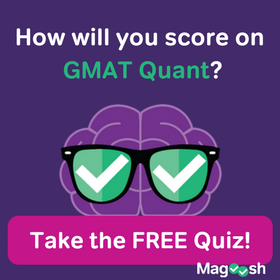 On the GMAT Quantitative section, you have 62 minutes to answer 31 questions; that’s a rough average of 2 minutes per question. To finish all 31 questions, remember the tips below. Get started quickly. Don’t agonize over how to get started on a particular question. Start factoring, or draw a Venn diagram; do something! Know when to move on. Use the time you save on questions you complete quickly to tackle the tougher questions. Remember, if you’ve established sufficiency on a Data Sufficiency question, you don’t need to solve for the answer. Generally, no matter the level of difficulty, you should not spend more than three minutes on any one problem. If you’ve reached the 3-minute mark, and you’re not close to a feasible answer, take your best guess and move on. It’s more important to get to the next question than it is to dwell over the one you’re on. 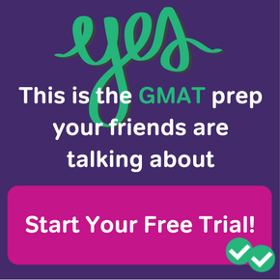 You have 65 minutes to answer the 36 questions on the Verbal portion of the GMAT, and each question type requires a different timing strategy. Reading Comprehension sections should average 6-8 minutes each, and you’ll see four passages on test day. Short passages have three associated questions, while longer ones typically contain four questions. Spend 2-4 minutes, on average, to read the passage, depending on its length. Don’t waste time reading and rereading details; your job on the read-through is to pick up the main idea of the passage and the attitude of the author. You can always go back to the passage when you’re asked about specific details. Some questions take about 30 seconds to answer, while more challenging ones may last up to 90 seconds. 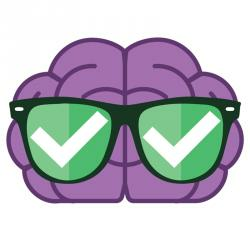 Sentence Correction questions, about 11-13 in all, should take you 60-90 seconds on average, and the more time you can save on Sentence Correction, the more time you’ll have for those tricky Critical Reasoning arguments. Use the differences between the options to spot what rule a question is testing. For example, if option B uses a singular verb while C uses a plural verb, you can immediately recognize that the question is testing subject-verb agreement in number. Spot the subject and determine whether it’s singular or plural. Critical Reasoning questions, 11-13 of them, require you to read the question stem, the argument and five answer choices. In order to correctly answer the questions, you must fully understand each piece of the argument and how each answer choice connects to the argument. Questions are full of trickily-worded information, including double negations and comparisons about numerical quantities, elements that can easily confuse even the best test-taker if he or she is rushing. Critical Reasoning questions should take no less than 90 seconds to complete. Longer or tougher questions may take upwards of three minutes. This post seems outdated because now the quant and verbal consist of 31 and 36 questions respectively and the alloted time has changed too. You’re absolutely correct that the number of questions is wrong in this post! We have been working to correct all of our materials after the sudden change earlier this year, but this clearly fell through the cracks. I’ll send this along to our writing team so that they can fix it! However, while the number of questions is incorrect, the pacing information is still spot on! You still have the same amount of time per question (the number of questions and section time decreased proportionally), but less questions overall.